This is the second Piattino we designed for 40North. 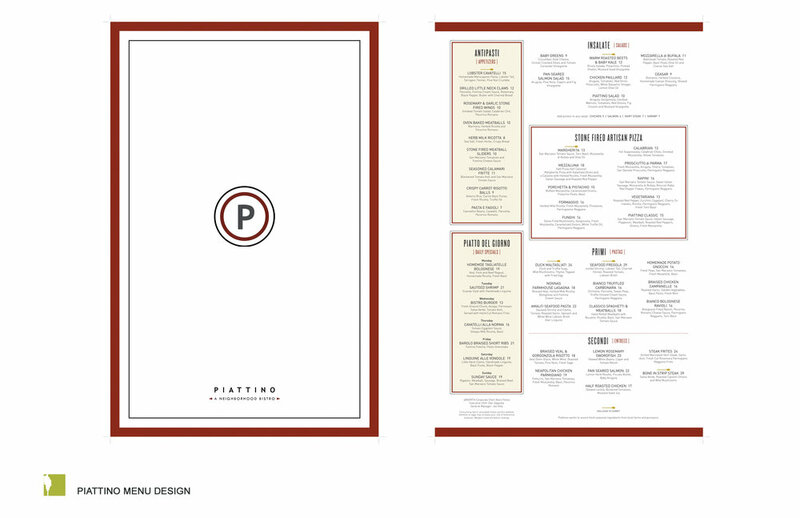 We originally designed the interior, exterior, logo, menu and signage for their Mendham, NJ location. With this new location being in an urban setting and close to the commuter rail station, we wanted to maintain key of elements of the original design but adapt it to the new demographic. Our goal was to keep the coziness of the Mendham location , but using a lighter palette of finishes to achieve a more youthful and airy appeal. Clicking through the gallery you'll be able to see the process from start to finish. 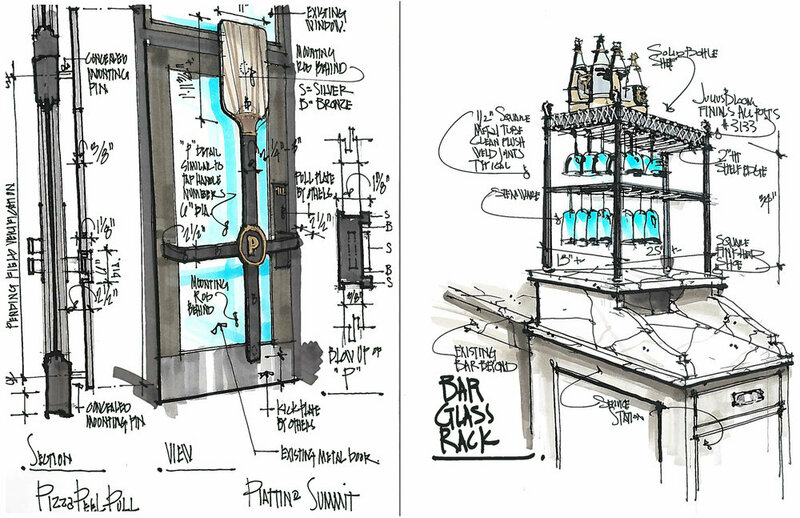 schematic: boards of materials, imagery and renderings for the overall look. construction documents: floor pans, elevations, details & specifications. sketches: meeting notes and solutions. graphics: menu, logo, posters etc. photos: final photos of the restaurant.